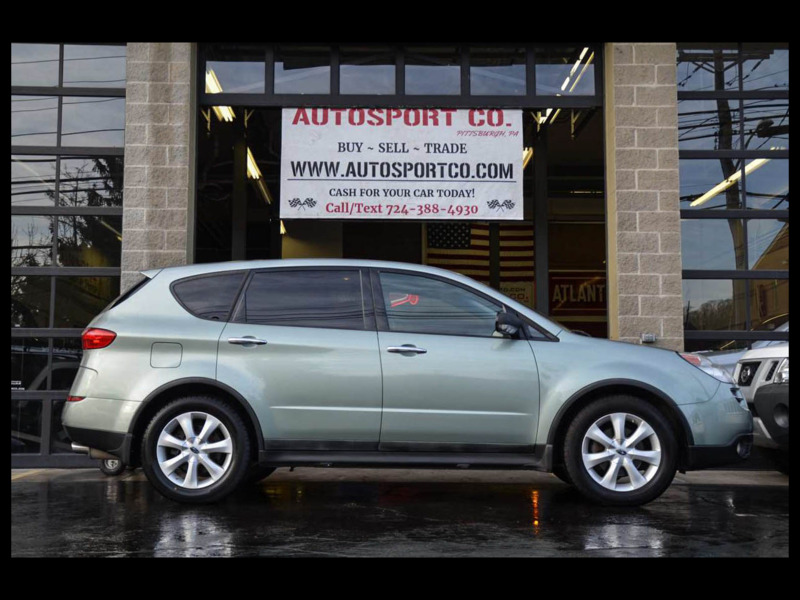 Used 2006 Subaru B9 Tribeca 7-Passenger for Sale in Indiana PA 15701 AutoSport Co. Offered for sale is a Clean AutoCheck, All Wheel Drive, 2006 Subaru B9 Tribeca with 89k well cared for miles and Brand New Tires. This Subaru runs and drives out excellent and is a great choice for a year round vehicle! The exterior of this Subaru shows very well with minimal wear present for its age, likewise the smoke free black cloth interior shows very well with no abnormal wear present! This 2006 Subaru Tribeca with 89k miles is loaded up with features such as: Clean AutoCheck, All Wheel Drive, 3.5L V6 Engine, Heated Cloth Seats, Factory Sunroof, Brand New Tires, AM/FM/CD/AUX Player, Power Sunroof, Premium Wheels, 3rdRow Seating, Power Options, and much more!! Note, the key fob is currently missing and you have to manually lock and unlock the door form exterior. For more information on this 2006 Subaru Tribeca with 89k miles feel free to call/text Anthony at 724-388-4930. This vehicle is located at our Pittsburgh location; we accept trades and can help with financing options! Thank you for your interest!